I don't know if this has been said somewhere already (probably has? ), but when the last names will come back, can we still keep these only one names as they are now? Don't want a last name... i wish these won't change then. Maybe a Rating/Reputation, points system could be put in place﻿. SL had a points system. It was gamed/abused and removed I think in 2010. Ebbe Question : Would the lab ever consider updating the built in build tools for SL aka prims. Would you consider making a new type of buildable object to go alongside the old prims that would allow us to move and manipulate points and edges? The other thing the complex I hope changes when bento came out 2016 I did get bent hands and a head this was before complex well I know you guys working on so much maybe complex needs to go back to the way use to be it gets laggy the high complex stuff there is some good old stuff I wish I could wear I have good video card but someone wear over 100k or 200k it makes everyone be a magnet you can have good computer I had to re render these I keep my stuff down to 50k I wish they need rules at events where people keep the complex down at ballroom I can see that is diffren't there more layers of clothes. I think some designers don't know some things they make are high complex until someone else wears it even blogging some things why gotta demo everything. I know its some say maybe soon this all can change this high complex gotta change. I feel if people had a wishlist in the profile instead of writting it would save from people thinking people only want gifts really imvu had this I know second life could have one but one of there own second life so much better. Ebbe Question : What is the ETA on allowing us to speed up and slow down animations via a script?. Ebbe Question : When are the new tiers of premium being released and can you reveal any further details about them?. Such as what the different tiers of premium will offer and what they might cost? It has been stated that nobody will be forced to change names. If you choose not to pay to get a last name, then your name will stay exactly as it is now. Last year, Linden Lab changed something in one of its business processes, to the detriment of some customers. I assumed it was an error of some sort, not intentional. The Support Desk was very good at explaining what the process is, and how I could work within it. However, they weren't in a position to deal with my suggestions about revisiting the process. They agreed to pass my concerns and suggestions on to the appropriate people, but I never heard back. I don't want to make a public issue of this, I would rather deal with it quietly. Is there a way, perhaps through occasional scheduled office hours, to get direct access to business staff who would be able to explain the rationale for a business process to someone who is concerned about it and have a brief discussion? Follow-up note: The issue relates to Financial Management, which at first glance I don't see covered by one of the Second Life User Groups. *Thank you Whirly for the link to the User Groups. This is more a call of attention then a question. Linden Lab is killing secondlife, unwittingly, but it's happening. Let me explain, some days ago I watched as 4 youngsters (20+) were using their phones to connect to SL, they were going to a club inworld, they got ejected and were called a few names, I watched them comment negatively and log off, pretending ignorance I asked about Sl, they explained it was like FB, twitter and a few more apps all together, but they couldn't enjoy it as they were called bots, alts and insulted if they went to places all together. Now, this shows that at LL someone doesn't understand the new generation, the new generation share, connect and trend in packs, this is the future social networking, the ejection tool was a product called VOODOO, under the guise of being a security tool it collects IP's and correlates them and if people connect from a shared IP, like these kids where doing (at a music fest) they are immediately considered scum. Shared IP's are a reality and a constant and this tool is a menace to bringing younger generations into SL due to their "socialization" habits. Club DJs used to count their tips in thousands and sims used to be taken down for the number of people going there, nowadays DJs count their tips in hundreds and 20-30 people at a club is a full house, all this due to this VOODOO. 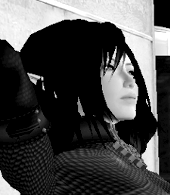 Every time this subject is brought up, people start talking of tin hats and paranoia, well, if secondlife is to have a future it needs the new generation, and they are being pushed away. There are many more stories that I could tell, but space here is not enough. Besides the obvious invasion of privacy (to which LL committed, GDPR) there is a lack of understanding of the new social habits of the young generations, till when will LL allow the existence of tools like this, that are slowly killing secondlife, Ebbe?This is more a call of attention then a question. Linden Lab is killing secondlife, unwittingly, but it's happening. Let me explain, some days ago I watched as 4 youngsters (20+) were using their phones to connect to SL, they were going to a club inworld, they got ejected and were called a few names, I watched them comment negatively and log off, pretending ignorance I asked about Sl, they explained it was like FB, twitter and a few more apps all together, but they couldn't enjoy it as they were called bots, alts and insulted if they went to places all together. Now, this shows that at LL someone doesn't understand the new generation, the new generation share, connect and trend in packs, this is the future social networking, the ejection tool was a product called VOODOO, under the guise of being a security tool it collects IP's and correlates them and if people connect from a shared IP, like these kids where doing (at a music fest) they are immediately considered scum. Shared IP's are a reality and a constant and this tool is a menace to bringing younger generations into SL due to their "socialization" habits. Club DJs used to count their tips in thousands and sims used to be taken down for the number of people going there, nowadays DJs count their tips in hundreds and 20-30 people at a club is a full house, all this due to this VOODOO. Every time this subject is brought up, people start talking of tin hats and paranoia, well, if secondlife is to have a future it needs the new generation, and they are being pushed away. There are many more stories that I could tell, but space here is not enough. If one contacts LL support the answer is "anyone can get your ip so we are ok with your ip being taken for whatever purposes", at least that's what I got. So use proxys or NAS and protect your users. 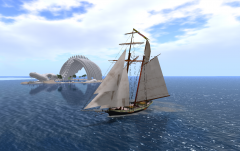 Besides the obvious invasion of privacy (to which LL committed, GDPR) there is a lack of understanding of the new social habits of the young generations, till when will LL allow the existence of tools like this, that are slowly killing secondlife, Ebbe? New users ARE needed, and new mentalities to understand them too. We need animation reform to give us the ability to override one or more animation parameters, not just speed. Things like changing(overriding) priority, start frame, end frame, frames per second, reverse direction, looping, easing, etc. We need global start time referencing so the viewer will never get desynched. And, of course, we need the ability to insert(override) IK's into an animation, with affected/targeted bone(s) input, local position/rotation. Basically, the ability for one or more of your bones to reference/impact/avoid other bones on your avatar, other avatars or global positions. This will give us bodily and environmental feedback. Couples animations have critically needed this for years. Couples animations have critically needed this for years. Couple animations have also critically needed a way to accurately determine and point an avatar under script control. Air Hugs have been an SL constant since 2004. I don't know if anyone already asked this kind of questions, but i'm gonna ask this question anyway. i was wondering if Linden Lab would probably consider updating the Alpha blending mode so it didn't glitch with another alpha blending or transparent objects. like alpha blending hair or clothing glitching with the transparent windows and sometimes the SL water, or hair glitching with the eyelashes and transparent clothing or other transparent body attachments (and they're also glitching with the body and head applier layers and sometimes it looks normal for a while after right clicking the objects, but i'm not worrying about that because when the bake on mesh available in the main grid, it won't be a problem because we might need those layers anymore). Maybe LL could add like a priority thing (like poses/animations) for alpha blending objects to avoid them glitching with the other alpha blending objects, or maybe options like the bake on mesh has, Baked_Upper, Baked_Lower, Baked_Head, Baked_Eyes, etc but for alpha blending to specify what's the objects for, like building components/inworld objects, clothing, hair, accessories and stuff to avoid the transparency issues. it seems like not that big of a problem to some people, but sometimes it just very unpleasant to see the transparent outline on another alpha objects. Thank You! Thanks for this information, it's very helpful. My issue relates to Financial Management, and at first glance I don't see it covered by the groups listed. I'll edit my initial entry to make this clear. I'm glad to know about these groups, and appreciate Linden Lab's setting them up. I would like to have the products I've purchased inworld go to the Received Items folder instead of the Objects folder. I use Firestorm and I use the system folders for sorting my inventory out (clothing, bodyparts, etc) but I want to keep all my furniture/houses in the Objects folder (As they are objects to be rezzed out) without 99% of everything else I buy going into it as well. With Second Live moving to the cloud, can we expect you will make the waters of the grid on demand, so we can sail from sim to sim? Or maybe even put up trees on abandoned land, that only pop up when someone enters that sim? So you want the whole Inventory system geared around you? if you could make page for creators and bloggers to share a blog I know its built on here so we don't have to use flikr. I understand yes could use the threads but would need to be probably diffren't. More sliders on the body in the middle part of the torso and other area's for appearance options. Also Again about the badges Designers to have them So that some other person can't make a profile of them pretend to be them. How about someone want's be verified but yes many of are but as adult but to know we are who we say we are up to that person like have a star Just put female or male what the choice is if we show Id of verfication so people can stop asking if someone is what or whatever.